It is necessary, for the sake of those to whom the whole subject may be new, to give in the smallest possible compass the substance of the Homeopathic Doctrine. Samuel Hahnemann, its founder, is a German physician, now living in Paris, at the age of eighty-seven years. In 1796 he published the first paper containing his peculiar notions; in 1805 his first work on the subject; in 1810 his somewhat famous "Organon of the Healing Art;" the next year what he called the "Pure Materia Medica;" and in 1828 his last work, the "Treatise on Chronic Diseases." He has therefore been writing at intervals on his favorite subject for nearly half a century. 1st dilution -- One hundredth of a drop or grain. 2d dilution -- One ten thousandth. 3d dilution -- One millionth. -- marked I. 4th dilution -- One hundred millionth. 5th dilution -- One ten thousand millionth. 6th dilution -- One millionth millionth, or one billionth -- marked II. 7th dilution -- One hundred billionth. 8th dilution -- One ten thousand billionth. 9th dilution -- One million billionth, or one trillionth -- marked III. 10th dilution -- One hundred trillionth. 11th dilution -- One ten thousand trillionth. 12th dilution -- One million trillionth, or one quadrillionth -- marked IV. -- and so on indefinitely. The third great doctrine of Hahnemann is the following. Seven eighths at least of all chronic diseases are produced by the existence in the system of that infectious disorder known in the language of science by the appellation of PSORA, but to the less refined portion of the community by the name of ITCH. in the words of Hahnemann's "Organon," "This Psora is the sole true and fundamental cause that produces all the other countless forms of disease, which, under the names of nervous debility, hysteria, hypochondriasis, insanity, melancholy, idiocy, madness, epilepsy, and spasms of all kinds, softening of the bones, or rickets, scoliosis and cyphosis, caries, cancer, fungus haematodes, gout -- yellow jaundice and cyanosis, dropsy -- gastralgia, epistaxis, haemoptysis -- asthma and suppuration of the lungs -- megrim, deafness, cataract and amaurosis -- paralysis, loss of sense, pains of every kind, etc., appear in our pathology as so many peculiar, distinct, and independent diseases." Very little power is allowed to the curative efforts of nature. Hahnemann goes so far as to say that no one has ever seen the simple efforts of nature effect the durable recovery of a patient from a chronic disease. In general, the Homeopathist calls every recovery which happens under his treatment a cure. Every medicinal substance must be administered in a state of the most perfect purity, and uncombined with any other. The union of several remedies in a single prescription destroys its utility, and, according to the "Organon," frequently adds a new disease. A large number of substances commonly thought to be inert develop great medicinal powers when prepared in the manner already described; and a great proportion of them are ascertained to have specific antidotes in case their excessive effects require to be neutralized. Diseases should be recognized, as far as possible, not by any of the common names imposed upon them, as fever or epilepsy, but as individual collections of symptoms, each of which differs from every other collection. The symptoms of any complaint must be described with the most minute exactness, and so far as possible in the patient's own words. To illustrate the kind of circumstances the patient is expected to record, I will mention one or two from the 313th page of the "Treatise on Chronic Diseases," -- being the first one at which I opened accidentally. All of any note agree that the law Similia similibus is the only fundamental principle in medicine. Of course if any man does not agree to this the name Homeopathist can no longer be applied to him with propriety. The belief in and employment of the infinitesimal doses is general, and in some places universal, among the advocates of Homeopathy; but a distinct movement has been made in Germany to get rid of any restriction to the use of these doses, and to employ medicines with the same license as other practitioners. The doctrine of the origin of most chronic diseases in Psora, notwithstanding Hahnemann says it cost him twelve years of study and research to establish the fact and its practical consequences, has met with great neglect and even opposition from very many of his own disciples. Among the symptoms attributed to muriatic acid are these: a catarrh, sighing, pimples; "after having written a long time with the back a little bent over, violent pain in the back and shoulder-blades, as if from a strain," -- "dreams which are not remembered -- disposition to mental dejection -- wakefulness before and after midnight." It has hitherto been customary, when examining the writings of authors of Preceding ages, upon subjects as to which they were less enlightened than ourselves, and which they were very liable to misrepresent, to exercise some little discretion; to discriminate, in some measure, between writers deserving confidence and those not entitled to it. But there is not the least appearance of any such delicacy on the part of Hahnemann. A large majority of the names of old authors he cites are wholly unknown to science. With some of them I have been long acquainted, and I know that their accounts of diseases are no more to be trusted than their contemporary Ambroise Paré stories of mermen, and similar absurdities. But if my judgment is rejected, as being a prejudiced one, I can refer to Cullen, who mentioned three of Hahnemann's authors in one sentence, as being "not necessarily bad authorities; but certainly such when they delivered very improbable events;" and as this was said more than half a century ago, it could not have had any reference to Hahnemann. But although not the slightest sign of discrimination is visible in his quotations -- although for him a handful of chaff from Schenck is all the same thing as a measure of wheat from Morgagni -- there is a formidable display of authorities, and an abundant proof of ingenious researches to be found in each of the great works of Hahnemann with which I am familiar. Is it possible that a man who is guilty of such pedantic folly as this,-a man who can see a confirmation of his doctrine in such a recovery as this -- a recovery which is happening every day, from a breath of air, a drop or two of water, untying a bonnet-string, loosening a stay-lace, and which can hardly help happening, whatever is done -- is it possible that a man, of whose pages, not here and there one, but hundreds upon hundreds are loaded with such trivialities, is the Newton, the Columbus, the Harvey of the nineteenth century! But if it were true that frost-bites were cured by cold and burns by heat, it would be subversive, so far as it went, of the great principle of Homoeopathy. For you will remember that this principle is that Like cures Like, and not that Same cures Same; that there is resemblance and not identity between the symptoms of the disease and those produced by the drug which cures it, and none have been readier to insist upon this distinction than the Homoeopathists themselves. For if Same cures Same, then every poison must be its own antidote, which is neither a part of their theory nor their so-called experience. They have been asked often enough, why it was that arsenic could not cure the mischief which arsenic had caused, and why the infectious cause of small-pox did not remedy the disease it had produced, and then they were ready enough to see the distinction I have pointed out. O no! it was not the hair of the same dog, but only of one very much like him! A number of public trials of Homoeopathy have been made in different parts of the world. Six of these are mentioned in the Manifesto of the "Homoeopathic Examiner." Now to suppose that any trial can absolutely silence people, would be to forget the whole experience of the past. Dr. Haygarth and Dr. Alderson could not stop the sale of the five-guinea Tractors, although they proved that they could work the same miracles with pieces of wood and tobacco-pipe. It takes time for truth to operate as well as Homoeopathic globules. Many persons thought the results of these trials were decisive enough of the nullity of the treatment; those who wish to see the kind of special pleading and evasion by which it is attempted to cover results which, stated by the "Homoeopathic Examiner" itself, look exceedingly like a miserable failure, may consult the opening flourish of that Journal. I had not the intention to speak of these public trials at all, having abundant other evidence on the point. But I think it best, on the whole, to mention two of them in a few words -- that instituted at Naples and that of Andral. There have been few names in the medical profession, for the last half century, so widely known throughout the world of science as that of M. Esquirol, whose life was devoted to the treatment of insanity, and who was without a rival in that department of practical medicine. It is from an analysis communicated by him to the "Gazette Médicale de Paris" that I derive my acquaintance with the account of the trial at Naples by Dr. Panvini, physician to the Hospital della Pace. This account seems to be entirely deserving of credit. Ten patients were set apart, and not allowed to take any medicine at all,-Much against the wish of the Homoeopathic physician. All of them got well, and of course all of them would have been claimed as triumphs if they had been submitted to the treatment. Six other slight cases (each of which is specified) got well under the Homoeopathic treatment -- none of its asserted specific effects being manifested. All the rest were cases of grave disease; and so far as the trial, which was interrupted about the fortieth day, extended, the patients grew worse, or received no benefit. A case is reported on the page before me of a soldier affected with acute inflammation in the chest, who took successively aconite, bryonia, nux vomica, and pulsatilla, and after thirty-eight days of treatment remained without any important change in his disease. The Homoeopathic physician who treated these patients was M. de Horatiis, who had the previous year been announcing his wonderful cures. And M. Esquirol asserted to the Academy of Medicine in 1835, that this M. de Horatiis, who is one of the prominent personages in the "Examiner's" Manifesto published in 1840, had subsequently renounced Homoeopathy. I may remark, by the way, that this same periodical, which is so very easy in explaining away the results of these trials, makes a mistake of only six years or a little more as to the time when this at Naples was instituted. And he expressly asserts the entire nullity of the influence of all the Homoeopathic remedies tried by him in modifying, so far as he could observe, the progress or termination of diseases. It deserves notice that he experimented with the most boasted substances -- cinchona, aconite, mercury, bryonia, belladonna. Aconite, for instance, he says he administered in more than forty cases of that collection of feverish symptoms in which it exerts so much power, according to Hahnemann, and in not one of them did it have the slightest influence, the pulse and heat remaining as before. Dr. Baillie, one of the physicians in the great H6tel Dieu of Paris, invited two Homoeopathic practitioners to experiment in his wards. One of these was Curie, now of London, whose works are on the counters of some of our bookstores, and probably in the hands of some of my audience. 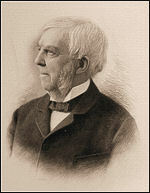 This gentleman, whom Dr. Baillie declares to be an enlightened man, and perfectly sincere in his convictions, brought his own medicines from the pharmacy which furnished Hahnemann himself, and employed them for four or five months upon patients in his ward, and with results equally unsatisfactory, as appears from Dr. Baillie's statement at a meeting of the Academy of Medicine. And a similar experiment was permitted by the Clinical Professor of the H6tel Dieu of Lyons, with the same complete failure. It entered into my original plan to treat of the doctrine relating to Psora, or itch -- an almost insane conception, which I am glad to get rid of, for this is a subject one does not care to handle without gloves. I am saved this trouble, however, by finding that many of the disciples of Hahnemann, those disciples the very gospel of whose faith stands upon his word, make very light of his authority on this point, although he himself says, "it has cost me twelve years of study and research to trace out the source of this incredible number of chronic affections, to discover this great truth, which remained concealed from all my predecessors and contemporaries, to establish the basis of its demonstration, and find out, at the same time, the curative medicines that were fit to combat this hydra in all its different forms.